Irene asks: For over 30 years my husband and I have had buildings and contents insurance. In that time we’ve had two minor claims for storm damage (snow coming off the roof and through the conservatory). We’ve tried to minimise the damage, and minimise what we claimed for, and we are still penalised by the jump in the policy and also the extortionate excess on the policy. 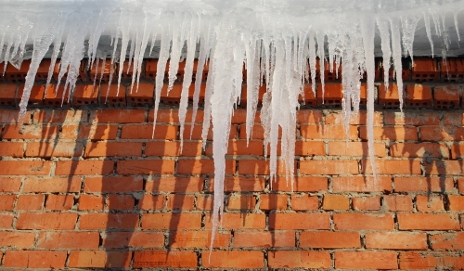 We have renewed all the guttering and installed snow boards on the roof (as they do in Canada and other countries with heavy snow) to alleviate any further damage, but the insurers are not interested. I’ve tried to get a new quote but one large company have declined to quote. The approximate claim was £3,000 so I’m not talking loads of money. Is there anything I can do in this situation? This does seem unfair, and it’s hard to see why you should not have efforts to protect your property from further damage caused by bad weather taken into account. I suspect it’s because the insurers don’t have a convenient tick box on their quote completion forms that cover non-standard solutions, such as the one you have installed. Incidentally, I bet they do in Canada and Scandinavia – just as I’d wager they’ll give discounts if you have snow tyres on your car. Given the seemingly rigid stance taken by UK insurers, the solution might be to use a broker, who can scour the market for more flexible insurance providers. Contacting the British Insurance Brokers’ Association or the Institute of Insurance Brokers would be a good starting point – at least until the wider insurance sector pulls its finger out and starts treating customers’ requirements on a case-by-case basis. This seems logical given we all have different needs due to our specific circumstances, doesn’t it? Has your insurance company refused to take notice of security improvements you’ve made when calculating your premiums? Or have you had a better result? Another solution would be to find out who the chairman of the insurance company is and send him an old fashioned snail mail letter to the company’s registered offices with your complaint. Google the company, and you should find a website with a tag “for investors” which would have this information. Address him by name, ie “Dear Mr ” not “Dear Sir”. Be polite, but explain the problem. The problem with so many companies, not just in insurance, is that they operate entirely through the telephone and have people reading from scripts. These people are poorly paid and have the barest minimum of understanding of the business, and certainly have no authority to do anything outside their scripts. It is ridiculous that the claims history of the person taking out buildings and contents insurance but not that of the property is taken into account. The NLIS (google it for more information) should hold information about how claims-prone a building is so that this (like its energy efficiency rating) is available to prospective home buyers and insurers. Works to mitigate claims should also be capable of recording. Scam Watch: have you received a confusing insurance call? Have you spotted incorrect info on comparison sites? Are vet bills your pet hate?